NATO plans to set up a 30,000-strong reserve force, plus hundreds of fighter aircraft and ships ready for rapid deployment in the event of an imaginary attack by Russia, Die Welt has reported, citing diplomatic sources in Brussels. According to the newspaper, the reserve force will be added to the already 20,000-strong NATO Response Force in Europe, which can be deployed within 30 days. The US is reportedly behind the idea for the reserve force with Germany assigned a leading role in the new combat formation. NATO defense ministers are expected to discuss the plan when they meet in Brussels sometime next week. According to Die Welt, NATO also wants to improve its “combat mobility” to be able to quickly move tanks and other heavy weapons to potential trouble spots. This would require better infrastructure and a removal of administrative barriers and facilitate the process of political decision-making. 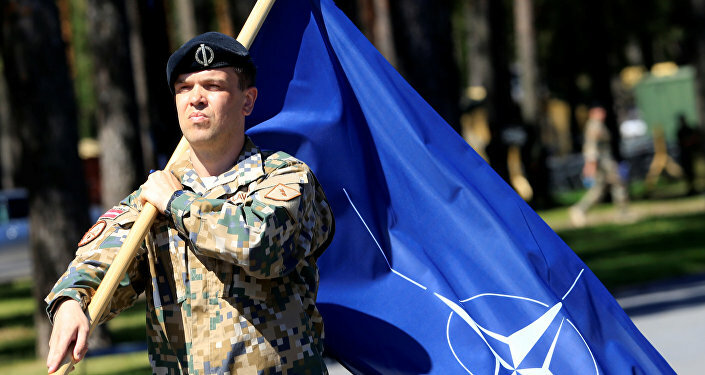 A report by the European Parliament’s international affairs committee, scheduled to be published ahead of NATO’s upcoming military exercises in the Baltic States, calls for closer interaction between NATO and the EU and a military buildup on the eastern and southern tracks in a bid to repel an imaginary Russian incursion into East Europe. Plans are apace to deploy four multinational forces to Estonia, Lithuania, Latvia and also Poland. The report also calls for roads and bridges to be repaired to speed up military deployments. Russia has on numerous occasions expressed serious concern about NATO’s military buildup along its western borders. During a meeting of the country’s Security Council in April, President Vladimir Putin said that NATO was trying to provoke new conflicts and stoke up old ones in the former Soviet republics. Moscow, for its part, has repeatedly denied plans to attack any member of the North Atlantic Alliance and insists that NATO is stoking up fears of Russia to increase its military presence along Russia’s borders.